View our 2019 Pool Opening Newsletter for Limited Time Only Specials! Located in Toms River, serving Ocean County, New Jersey! 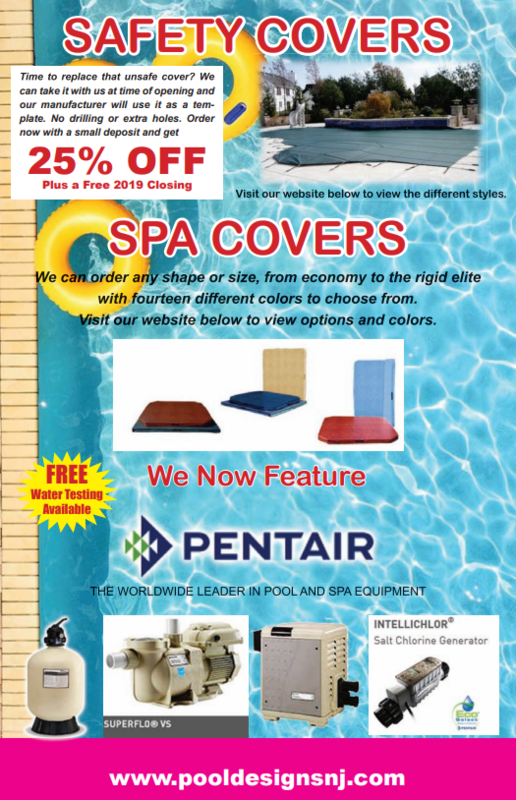 Save on Safety Covers, Liners, Pool Chemicals & More! From new builds to maintenance products, Pool Designs by Poolside has it all. 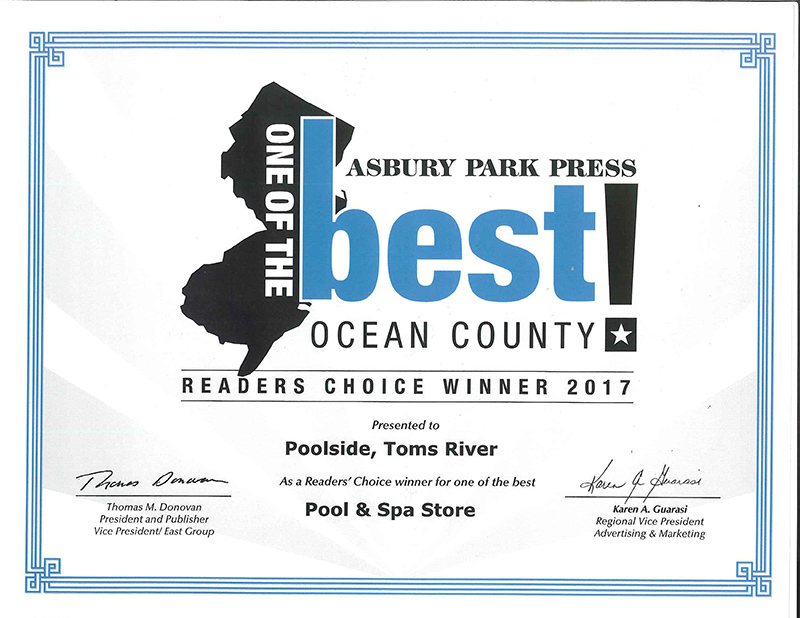 Pool Designs by Poolside is dedicated and committed to giving customers in the Toms River and Brick, NJ area the best service possible, no matter how large or small the job may be. This is just one reason why our clients choose to use us year after year, while also referring their friends and family. In addition to impeccable service, Pool Designs also offers 30+ years of experience in every arena of pool care, from building new pools to replacing pool liners and routine pool maintenance in all of Ocean County, NJ. We now offer fiberglass pools! As a local, family owned and operated business, Pool Designs by Poolside knows that you don't have money to burn. That's why estimates for new construction are provided free of charge. The highly experienced professionals at Pool Designs service all of Toms River, Brick, and Orange County, NJ. 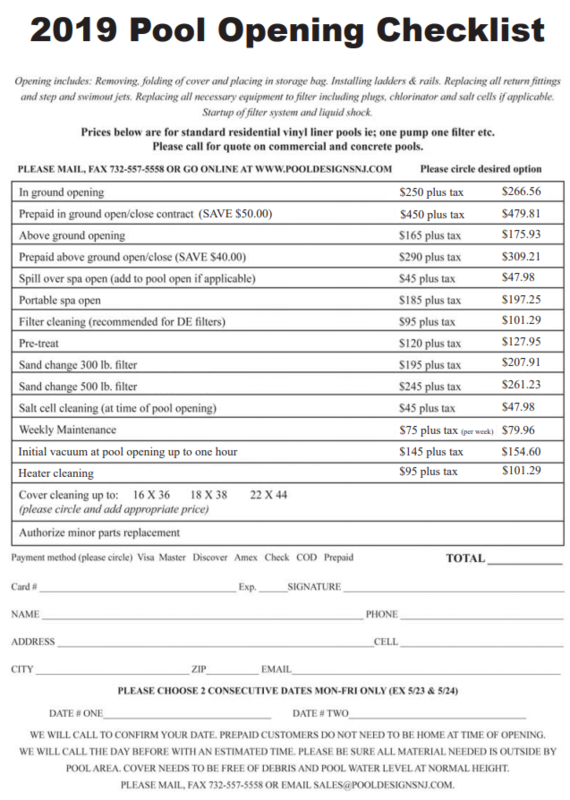 Pool Designs by Poolside will look at the area where you're thinking about installing a pool and give you honest feedback about what it will take to build out your new in-ground pool. We serve all of Ocean County, NJ, no matter how large or small the job may be. This is a no-pressure service that is designed to both inform you on your options and ensure a fair estimate is provided. High quality products mean fewer hassles for you. Should you decide to work with Pool Designs, you will get experienced and service-focused staff and the highest-quality products in the industry. Pool Designs offers some of the industry's longest warranties to back up their services and products. High quality products and a lengthy warranty allow you the peace of mind to really enjoy your pool with friends and family. While this may not always be the cheapest option, it brings with it the peace of mind that comes from knowing you won't be dealing with replacements, repairs or other issues in the coming weeks and months. Call Pool Designs by Poolside today located in Toms River and serving Ocean County, NJ to schedule your free estimate - and get splashing in a hurry!